Alright on to the new year and on to typing a bit of games I’m playing/have played. I’m not sure if I’m going to change the format where I list any and all games vs ONLY the new ones because then it’d be comical repeats of Freedom Planet, Sonic 3 & Knuckles or Mania, Phantasy Star IV- BUT, maybe just thinking about it now I’ll include a little bit at the end that will include those. So, onto the games. Oh dammit, first entry and it’s already a remaster?! Augh. WELL THEN, it’s still TECHNICALLY new. It sports new content. . .for the west anyway. Apparently the Xbox 360 version was deemed to be the only one to get this game over here so it missed out on a lot of extra goodies when they made a PS3 version in Japan. This has that and more, apparently. Neat! 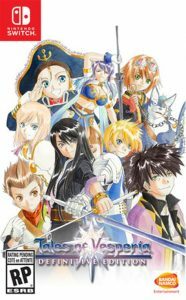 Like other Tales of games, it’s an action RPG where you have real time battles and fight along teammates. I’m about 8 hours in and am really enjoying it. 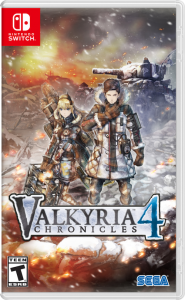 I got the Switch version so I’d hopefully be able to finish it in a timely manner (yeah right). It’s not bad, I’m preferring Xillia & Berseria so far but I can see why this one is loved. Update: Yes I’m updating this before even posting this blog but hey, it’s fine right? Right. The game has surprised me with the characters and story. It’s impressive how it’s both a bit cliche and surprising with some actions that happen in the game. Not spoiling anything but, I’m enjoying it! Resident Evil 2, doesn’t really do that. The gameplay is entirely different (not a bad thing!) and I feel like it misses just a little bit that keeps it from being that perfect remake. But really the change in gameplay is both great and a disappointment- but it still means the original is worth playing. 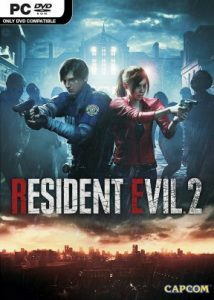 RE2 is what a lot of people claimed RE7 was- this is actually survival horror. You gotta manage your inventory and combat is best avoided as you are never rewarded for taking out zombies (except for having safe passage, of course). It’s a brilliant game that’s apparently getting FREE DLC this month! (As I am writing this in 2/5/19). I was worried that they’d make this a action game where you’d be suplexing suspects but no it’s pretty dang true to the original. The amount of stuff you get in the game is really impressive, it’s pretty much everything the PS1 version came with and then some. Whatever complaints I have I feel are minor at best and don’t harm the game’s overall fun or replayability. Finally, something new- I think it came out this year but I’m not about to check because this list can’t be all games that came out before to some extent. So, I got this on a whim, on sale, got a discount slapped on top of that too and thought I’d give it a try. It’s a odd one to describe so far. I’m about 2 hours into it and it plays out in semi-real-time and turn based. You move characters and enemies can shoot if you’re in sight, a sort of suppression fire that you and they do depending on the turn. When not in battle trying to be all strategic your allies are being silly anime characters off screen. The most unrealistic military you’d ever see. One of the characters has a knights helm AND pigtails just to round off the silliness. I’m interested to see where this goes, it’s a new kinda game for me so here’s hopin’ it’s good!